You'd be right in guessing that back-up singers often get overlooked, so it's doubly sad that we missed getting the release of this documentary film about back-up singers into this week's paper. 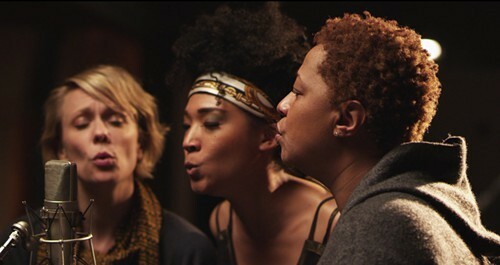 Morgan Neville's new doc, 20 Feet From Stardom, opens Fri., July 5, at the Manor, in Squirrel Hill. He interviews back-up singers — Darlene Love, Lisa Fischer (works currently with Sting and the Rolling Stones) and Merry Clayton (that unforgettable voice on the Stones' "Gimme Shelter") — as well as those stars who rely on them, and the occasional singer who walks that very long 20 feet from back-up performer to headliner.